It’s hard to commit ink to paper these days. Today’s inspired brainstorm can be tomorrow’s “what was I thinking? !” moment. Technology evolves, social media trends fall into and out of favor … it’s easier to pick and choose from excerpts online. Not this time. I’m recommending three books that I think you should read cover to cover for inspired approaches to out-of-the-box thinking, social media and more. 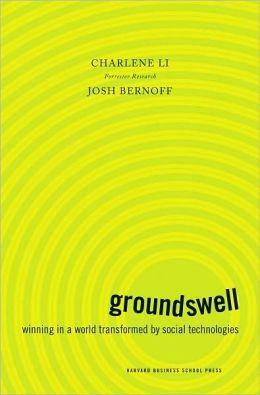 Why You Should Read It: The “groundswell” is a term they’ve coined to mean “a social trend in which people use technologies to get the things they need from each other, rather than from traditional institutions like corporations”. The focus is on POST: People, Objectives, Strategy, Technology. Technology comes last in this approach, making this book adaptable as social media platforms continue to evolve. 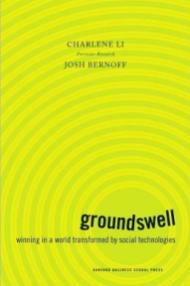 BONUS: Groundswell delivers approachable methods for conquering your fear of losing control of your message: the perfect gift for the board members and executive directors in your life. Why You Should Read It: There were two articles that made me want to buy this book, and both caught me off guard. The first, rethinking design to make MRI machines less scary to younger children. The second, how students in a Design for Extreme Affordability course took a school project out of the classroom to affect real-world change. This book is entirely about thinking outside of the box, approaching innovation from the need to transform lives. It will push your brainstorming to the next level. Why You Should Read It: Another great brainstorming book that will wake up the fun side of productivity. This works with the competitive nature of games, and the examples will stay with you long after you close the cover. Are any of these books already on your shelves? Any books you think we should add to our list? Let us know in the comments, and happy reading!